(BlackMediaScoop) There are a couple of plot twists to this that I find interesting. Rachel is an IG model who has been spotlighted on Barstool Sports (who confirmed the hopping in the DMs part). She is dating Cleveland Browns safety Jordan Poyer, no way to know if LeBron knew this before or after he jumped in the DMs…. Nothing wrong with hopping in DMs and you never know if it is the actual athlete who is doing it. A lot of them don’t run their account and their boys use it to try to hook up with girls. In this particular case regardless if it was LeBron or not, she decided to screenshot it for the world. 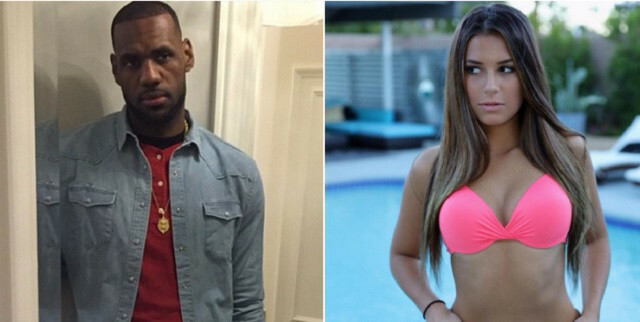 Not sure who should be more worried, LeBron or her boyfriend that LeBron has taken some interest in his lady. What do you think…innocent or King James was up to no good?